Most everyone working or training in the technology field understands that they will be changing jobs every three years— this is part of being involved in the fastest growing and most lucrative industry in the world. Indeed, the top employment site in the world, has created a special site just for tech: Indeed Prime. Indeed Prime has been designed and developed to match the most in-demand technical job seekers with the best of tech employers. The service is exclusive but it is still free to job seekers. Right now, Indeed Prime is available to candidates and companies based in Austin, Boston, San Francisco, Seattle, and New York City. Plans are to expand the priority tech job service to other cities in the United Sates in the future. Job seekers can use Indeed Prime for free. You can realistically expect to get between three and five developer job offers in a week. The best and newest tech companies compete for you. That means your salary, equity in your new employer, and the perks of your new position increase through competition. The employers that compete for you have been vetted by Indeed Prime so you can be sure the money is there. You do not have to do the usual vetting of a potential employer because Indeed Prime has done it for you. Your one time application allows you to be presented to multiple companies that need your skills now. Indeed Prime lets you keep your job search secret by hiding your profile from your current employer. 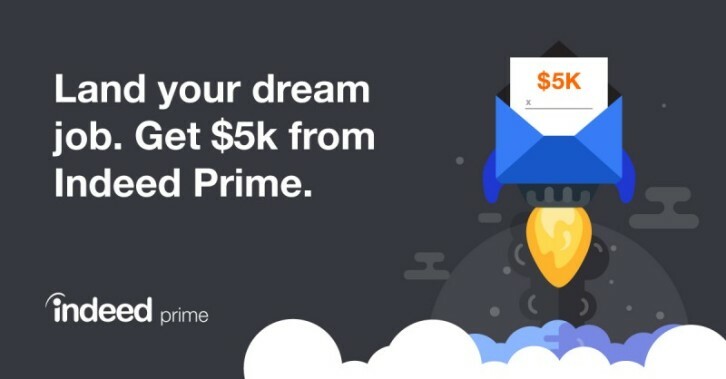 Indeed Prime will give you a $5,000 bonus if you land a job through the service with a company that is involved with Indeed Prime. Indeed Prime is exclusive in the criteria for job seekers and companies. The benefit to both is a shorter time frame in filling a position with qualified people that are capable of hitting the ground running. The job seeker must have a high level of verifiable skills in the specific area that a potential employer is looking for. The company must have a strong tech presence and a proven track record in the tech industry. The company must prove to Indeed Prime that it is financially solvent and has a bona fide position that is presently unfilled. This eliminates wasting time with those positions that are already filled internally but posted due to legal regulations. You must be willing to move to the area where the job is if you do not currently live in that area. All in all, this is a really great and refreshingly simple idea. Indeed Prime connects the most qualified tech job seekers with vetted companies that have a real need to fill verified positions right away. Since the site is catered to the tech industry, it cuts down on the time both parties need to spend on sorting through relevant jobs and applicants. 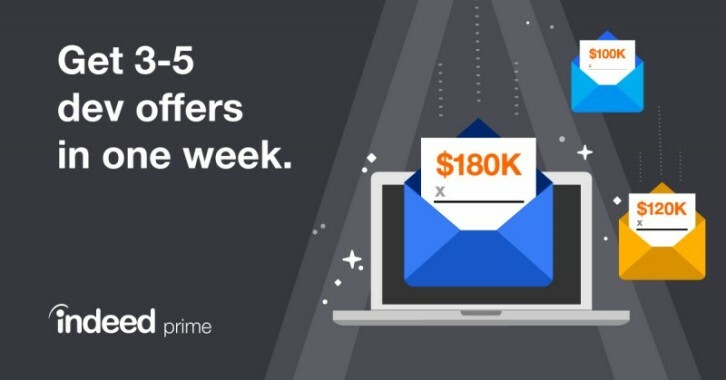 Advance your career today and check out Indeed Prime.